Discover where you are on the continuum of health and dis-ease. Where do you think you fall on this chart? Did you know that you are a product of your environment? A state of health or disease is largely a product of the environment you’re exposed to. Health and disease are simply on a continuum. What is a Health Continuum? “The Health and Disease Continuum is a graphical illustration of a wellbeing concept first proposed by Travis in 1972. It proposes that wellbeing includes mental and emotional health, as well as the presence or absence of illness.” Preferably, the absence of illness. We are exposed to daily stresses in our environments. Healthy individuals experience stress and adapt to the environment. If we are exposed to very strong stressful environmental stimuli or repeated stressful stimuli, we could be losing our ability to effectively adapt to our environment. Is there a way to determine if the stresses from our environment are affecting our health? As you complete the following questionnaire, if you answered “Yes” to even one of the questions, it is possible that your nervous system is dealing with too much environmental stress. o Do you sit for more than an hour a day? o Have you suffered any motor vehicle accident, broken bones or sprains or strains? o Have you ever had any surgeries (including wisdom teeth) or suffered a major illness? o Do you do high intensity cardiovascular intense workouts for more than 45 minutes? o Do you wake up and stay stiff and sore for long periods? o Have you ever lived in a smoking household? o Do you drink city water? o Do you smoke, drink or do drugs? o Do you take more than 3 prescription drugs? o Do you eat lots of simple carbohydrates such as breads, pasta, rice potatoes and/or sugary snacks (chocolate bars or desserts)? o Have you ever been a victim of physical or emotional abuse? o Do you frequently exhibit signs of depression, anxiety, nervousness, mood swings or irritability? o Have you ever experienced a difficult ending to a relationship (such as a bitter divorce or death)? o Have you experienced financial or job security loss? o Do you have strong and perpetual anger, guilt, shame, hurt or sad feelings? If you have answered “Yes” to any of these questions, it is recommended to have a thorough chiropractic consultation. Stressful life events in the physical, chemical and mental emotional spheres elicit a stress response. Healthy people experience the stress, learn and adapt, then release the stress response. Unhealthy people experience the stress but are unable to learn and adapt, hanging on to the stress response. Accumulated stress responses affect the body causing discomfort and dis-ease. 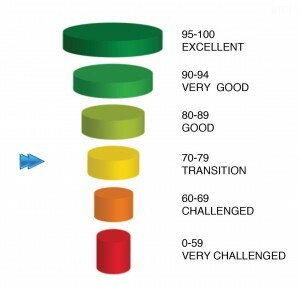 Click here to get your complimentary, computerized Nervous System scan to see where you are on the health continuum.